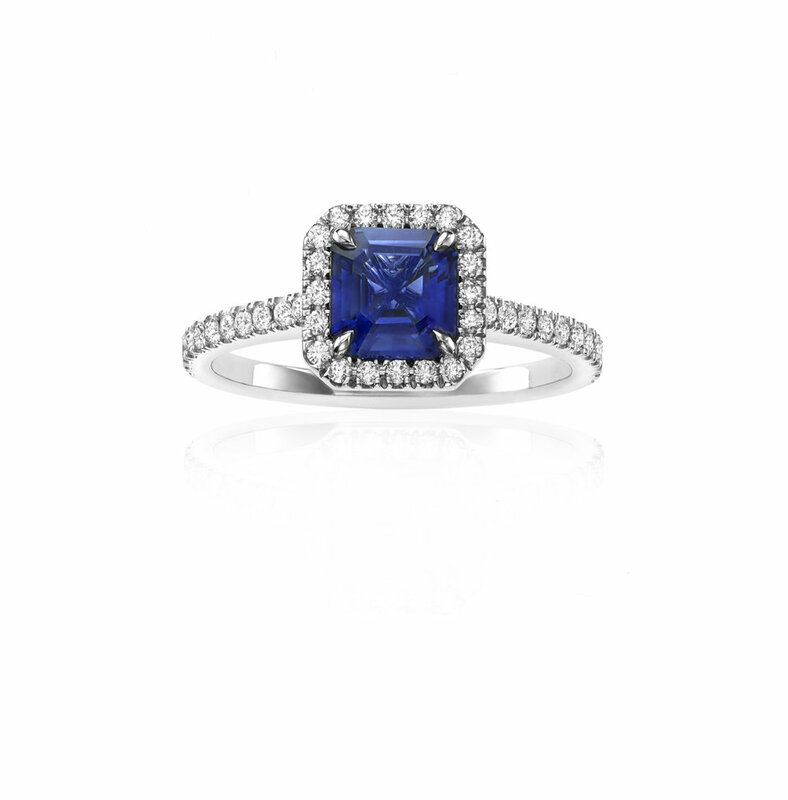 The hero of the piece is the stunning blue sapphire, chosen to evoke the color of the ocean off the coast of Colombia. The shape of the stone was inspired by the logo of her first café “Camilia,” to always highlight her passion as a creator and chef. The prongs which hold the sapphire follow the same curvature from the Bogotá flag, celebrating her heritage (and also where he and she first met). Finally, four gemstones are set on the inside for each of their most special and meaningful milestones. The Camilia Ring features an asscher-cut sapphire and small round diamonds set in platinum.